Telecommunications giant Rogers Communications is revisiting a plan to put a 40-metre cell phone tower near the shore of a southern Ontario lake used by floatplanes. The Waterloo Record says Rogers plans to put the tower about 400 metres from Puslinch Lake just outside of Cambridge. The tower is planned for a nature preserve at the west end of the lake, which is oriented generally east-west just south of the 401. “This thing is a hazard. Why would you want to put a tower there?” lakeshore resident and floatplane operator Ron Harper told the Waterloo Region Record. Harper said the lake is a popular stopping place for floatplane pilots. It is not, however, a registered aerodrome and Transport Canada obstacle regulations do not apply. “It is the pilot’s responsibility to be aware of obstacles and ensure they are able to take off and land safely,” Transport Canada Civil Aviation said in a statement. But Canadian Owners and Pilots Association (COPA) President Bernard Gervais told the Record that even though no rules apply to the cell tower project, that’s not justification to proceed. “Common sense dictates that you’re not going to put a cell tower right there at the end of the takeoff run,” said Gervais, who is a floatplane pilot. Rogers appears to have heard the complaints. 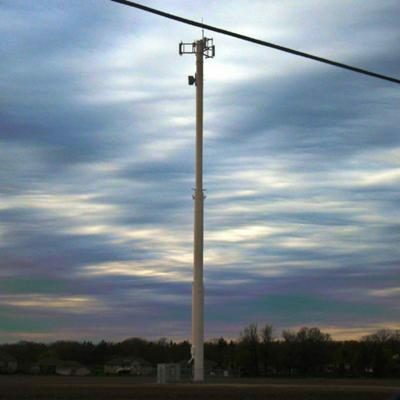 “We will continue to work with local officials in order to accommodate community concerns, while providing much-needed wireless services to area residents,” a company spokesman told the newspaper.